We have yet to see his face, but that isn’t even necessary for us to know that Supernatural‘s newest villain, Mr. Ketch, is truly terrible. He may have a great accent, but that’s his only positive attribute. Here we thought Lady Toni Bevell was the one who could possibly be worse than Lucifer. Clearly not. During Tuesday’s episode, Sam and Dean investigated the case of a young woman name Magda, who her family thought was “the devil,” but really she just had psychic abilities. In the end, the Winchester brothers saved the day and managed to get Magda away from her family, mainly her horrific mother. Thankfully, Sammy was there to relate to Magda. Remember that time he possessed psychic abilities? For a while now, he hasn’t had them, but he still understood exactly what Magda was feeling. By the end of the episode, Sam told Magda to call him whenever she needed him and that she would eventually find her footing. He also reminded her that her powers don’t control her, she controls them. We thought Magda was going to get a happy ending. Yeah, that didn’t happen. She was on her way to California to live with her aunt — that is until Mr. Ketch showed up. During the investigation of their latest supernatural-related case, a mysterious person on a motorcycle stopped and took note of Sam and Dean’s car. At first, it didn’t seem like we would learn this person’s identity, but that all changed when the motorcyclist showed up at the bus stop, followed Magda into the bathroom and shot and killed her. Let’s all say it together, “Poor Magda.” If you haven’t figured it out yet, the motorcyclist was none other than Mr. Ketch. After fatally shooting Magda (and with way too much ease for our liking), he made a phone call saying how he cleaned up another one of the Winchesters’ messes because they just couldn’t get the job done. Whoa! Sam and Dean clearly got the job done. They saved a woman who didn’t understand what was happening to her and gave her hope of a future. If anyone failed, it’s Mr. Ketch. He really is the absolute worst, isn’t he? No wonder Toni works for him. They are basically the same person. 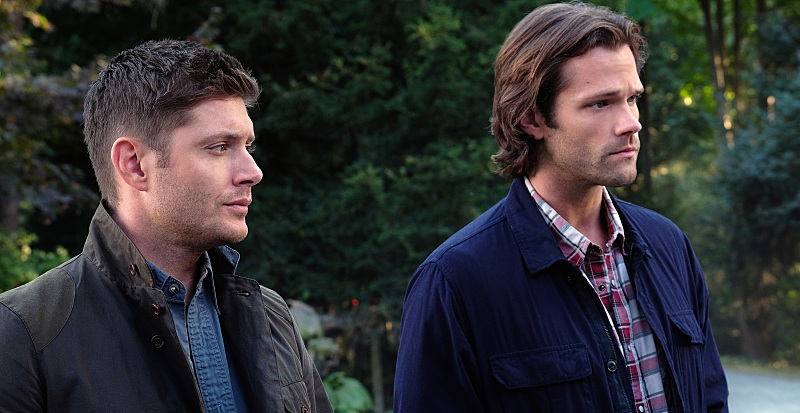 Overall, the British Men of Letters need to go back to England and leave Sam and Dean alone. Unfortunately, that probably won’t happen any time soon and until Mr. Ketch, Toni and any other members from the London chapter stop the brothers once and for all. Now would be a great time for Castiel, Crowley, Rowena and even Lucifer to join forces with Sam and Dean to stop these awful, awful people.